The elves at Monday Night Press are hard at work assembling our second title. Each book is hand-stitched and carefully assembled. 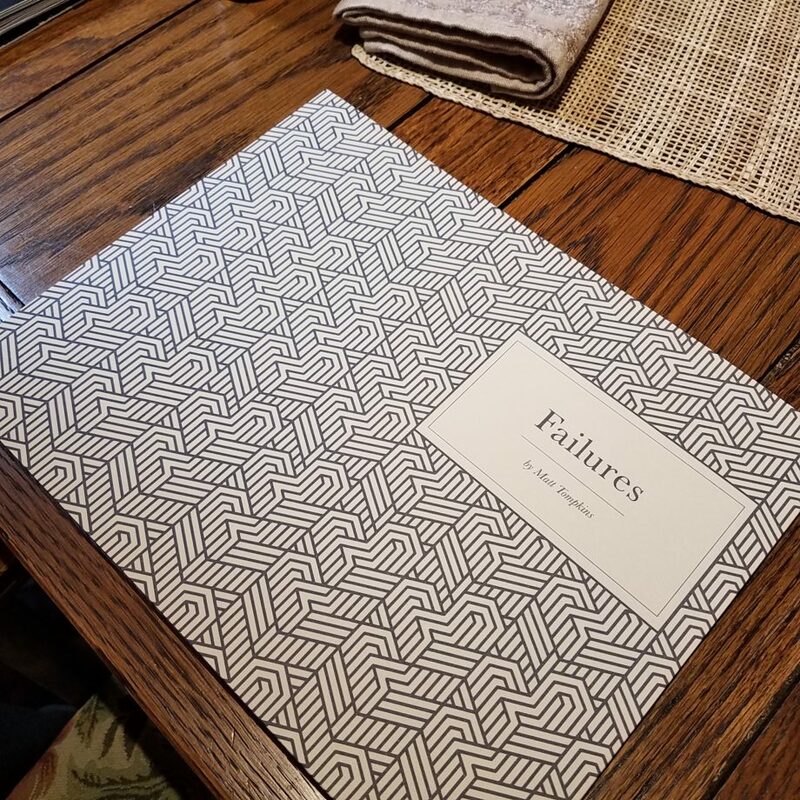 Watch this space to find out when Failures by Matt Tompkins is ready to order!